Augur usually divine to avoid risk, but players in the game can divine and change the fate as augur does by acquiring the power of constellation. 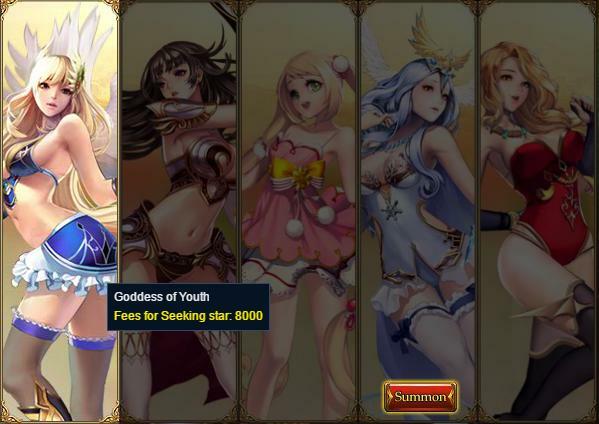 According to different constellations, players can acquire various additions. The higher level constellation is, the harder to obtain it. Players can lift the level up of different constellations by combining them together to bring out more powerful effects. Seeking Star need silver and can acquire relevant constellations, each constellation have its corresponding destiny which can add certain attribute to players to increase fighting capacity. After picking up constellations，click Zodiac to change constellations of character and partners. Constellation can be upgraded to acquire higher quality of attribute additions. Methods of upgrading are to combine constellations to accumulation experience. Here are the rules: high quality constellation can annex lower quality or same quality with lower level constellations. Players can click the Stellar Power icon on character board to check information of constellations.